We are manufacturer of Steering Parts - 001. 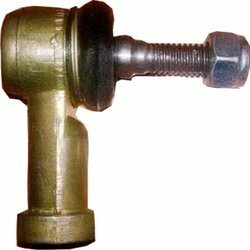 For meeting the diverse requirements of our clients, we are engaged in Tie Rod End. We manufacture these rods considering the requirements of our clients by utilizing high-grade raw material and highly advanced production techniques. We also test these rods on various parameters so as to ensure their accurate dimensions. Being an eminent organization in the industry, we are involved in providing a premium quality range of Automotive Steering Arms. We have in store for our clients, a finely fabricated array of axle and steering components that find extensive application in the automotive and other engineering industries. Reckoned for its qualities of superior compression strength and sturdiness, these axle and steering components can be availed by our clients in standard and custom-made forms. We offer Yoke Sleeves which are manufactured from finest grade ductile iron alloy procured from reliable vendors and thus offer resistance to heat, corrosion and abrasion. These yoke sleeves are designed as per the current international quality standards with long thread engagement that assure of accurate alignment of the stem. We are involved in offering a wide range of Yoke Sleeve to our most valued clients. Our range of Yoke Sleeve is widely appreciated by our clients which are situated all round the nation. Manufactured from finest grade ductile iron alloy procured from reliable vendors and thus offer resistance to heat, corrosion and abrasion. 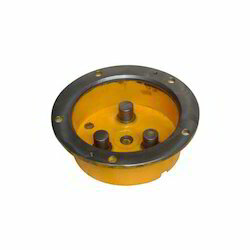 We offer our range of Yoke Sleeve at most affordable prices.